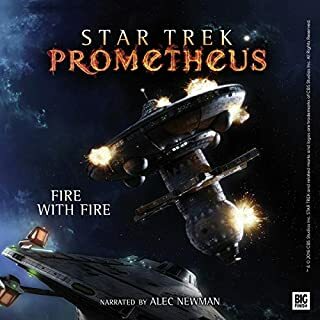 The final frontier erupts into chaos as vast quantities of a rare energy source are discovered beneath the surface of Baldur-3, a remote planet beyond the outer fringes of Federation space. Now, an old-fashioned “gold rush” is underway as a flood of would-be prospectors, from countless worlds and species, races toward the planet to stake their claim. Captain James T. Kirk and the crew of the Starship Enterprise are dispatched to deal with the escalating crisis...which lies on the other side of a famously perilous region of space known as the Antares Maelstrom. Continuing the milestone 50th anniversary celebration of Star Trek - a brand-new novel of The Original Series featuring James T. Kirk, Spock, and the crew of the USS Enterprise! 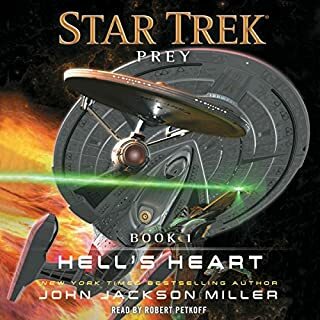 Investigating a series of violent raids by a mysterious predatory species, Captain James T. Kirk discovers that these events share a startling connection with the First Federation, a friendly but secretive civilization contacted early in the USS Enterprise's five-year mission. Traveling to the First Federation in search of answers, the Enterprise suddenly comes under attack from these strange marauders. 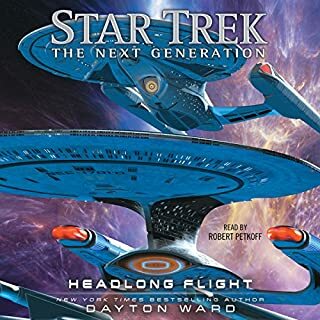 Seeking refuge, the starship finds its way to the true home of the First Federation, an astonishing collection of worlds hidden from the galaxy beyond. The inhabitants of this isolated realm are wary of outsiders, and some accuse Kirk and his crew for bringing the wrath of their ancient enemy down upon them. When an attempt to stave off disaster goes tragically wrong, Kirk is held fully accountable, and Commander Spock learns there are even deeper forces that threaten this civilization. If Kirk and Spock cannot convince the First Federation's leaders to overcome their fears, the resulting catastrophe could doom them all! ©2016 CBS Studios, Inc. All rights reserved. STAR TREK and related marks are trademarks of CBS Studio, Inc. All rights reserved. (P)2016 CBS Studios, Inc. All rights reserved. STAR TREK and related marks are trademarks of CBS Studio, Inc. All rights reserved. Star Trek UNABRIDGED. Like watching STO TV. The Narrator Petkoff keeps getting better with the character voices. His Kirk has become a treat to any fan of the original series. The story was well written and felt true to the original. I hope they will continue these unabridged books. Great adventure for any Star Trek lover . Loved every minute of it. It has all of the hallmarks of the classic Star Trek adventures with a few new ones thrown in. Easy to just kick back and enjoy. True and enriching to the characters outside the main cast, in the related episode. I could picture them clearly in my minds eye. Narration also brilliantly executed. I'd like to be specific, but that may create spoilers for who did not view the original series. Watch the original related episode before listening! You won't be disappointed! It really brought me back! This is an excellent book if you're pining for original Star Trek (in every sense of the word). Like a good Star Trek episode, it speaks to modern issues and forwards a believable optimism. All of the characters are written in a well rounded and eminently believable way. If you miss Star Trek... this book is for you. Great voice characterization by Robert Petkoff. Really captures the essence and the idiosyncrasies of the crew. The story is fine, but fairly run of the mill Trek fare. Nothing groundbreaking for me here. Nothing terribly captivating, but I will probably listen to it again. Would you try another book from Christopher L. Bennett and/or Robert Petkoff? Chris Bennett's book is excellent. It is very "Trek". 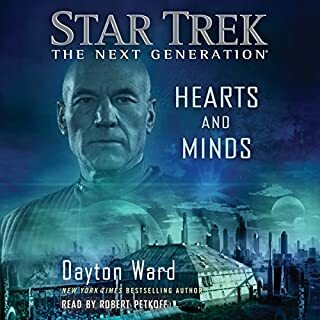 It's well written and just what McCoy ordered if you are in the mood for a good Star Trek yarn. Petkoff's narration, on the other hand, is bland, uninspired, and boring. He reads the book like he is reading the news. I would have enjoyed the experience much more had I read the book normally instead of being put to sleep by Petkoff's single-octave droning. What was one of the most memorable moments of The Face of the Unknown? Finding the planets hidden inside the Gas Giants! Awesome! I won't be buying another book read by Petkoff. Somebody more suited to reading a Trek book should be used on future works. A narrator is needed with drama in his delivery--not the dead pan, flat tones of Petkoff. It would also help if the narrator was more familiar with the delivery of the original actors that play the original crew. Petkoff tried. He's just no good at this type of book. Did The Face of the Unknown inspire you to do anything? 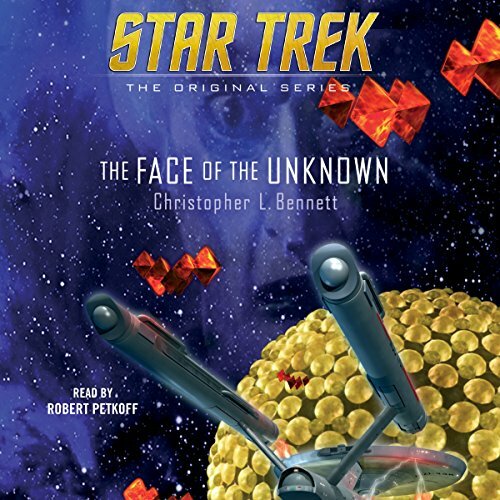 Read more Trek books by Christopher L. Bennett. He wrote an excellent Star Trek tale (and that's not easy to do). Star Trek book should also have a few sound effects--like what you get with a Star Wars audiobook. We should hear the hum of the ship as the narrator reads, or phasers being fired, or the whirrr of a medical tricoder when it is used. The narrator is amazing. 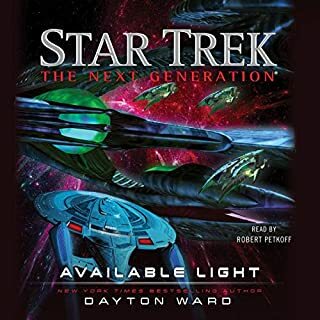 The story was interesting, the characters well developed and true to what I expect from a Star Trek story. 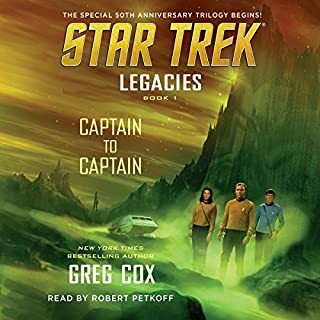 Usually, the narration is the greatest shortcoming of audiobooks for me. That being said, this guy was great! I grew up watching STOS, before STNG was even a thought. And this narrator did such a good job of the characters that I could easily picture each of them as he spoke, rather than the usual stiuation of being distracted by somebody trying to sound like these people. Obviously nobody can have the same voice as six different people, but he captures their inflection and style so well that it is much better than having someone who kind of sounds like each of their voices. That is both the harder thing, and the one that is a question of skill rather than happenstance. The story was decent too. You could tell the author is prolly a "J school" person, and that style of writing annoys me, but it does not seem like publishers choose people with actual science and engineering backgrounds as science fiction authors anymore. RAH is flipping over in his grave! But the story was not bad. The issue I have is my own pet peeve, and should not play into anyone else's decision to choose this title. If you are a STOS fan, you will likely enjoy this book. Story was solid, but not fantastic. Petkoff's narration is superb. He captures the essence of the TOS cast without devolving into caricature. Good TOS story worth a listen. It starts so well. The premise and setting are both great, but then a great wolloping action scene happens. Im sure the intention was that the story should be exciting, but if everything is crisis chapter after chapter it just becomes boring. I was bored and very nearly gave up. What made the experience of listening to The Face of the Unknown the most enjoyable? What other book might you compare The Face of the Unknown to, and why? What does Robert Petkoff bring to the story that you wouldn’t experience if you had only read the book? Thats a tough one as their could be many depending on the screenplay. The storyteller was good but the story was so full of description instead of story line . There were parts where I had been listening for an hour and the actual storyline had not moved on one bit. There were times when you found yourself shouting "Oh get on with it, get to the point" The storyline good idea but the content was bogged down with too much description not enough meat to the story. Story well read but poor content. I could listen to this guy read a telephone book. Well I looked forward to reading this. But I found it a tad hard to swallow. The narration is great. The story is worth a listen or a read though. See what you think.